Fiberglass swimming pools are one-piece shells that can be “dropped in” to your yard in a very short period of time – just 3 to 5 days in most cases. They are well suited to areas with cold weather seasons because the flexural strength of fiberglass prevents cracking during freezing-thawing cycles. Fiberglass swimming pools come in a wide variety of shapes and colors, and can include many options such as perimeter tile, inlaid tile, tile mosaics, Crystite® pool finishes, built-in water features like cascades and streams, fiber optic and LED lighting, vanishing edges, and in-floor cleaning systems. In addition, fiberglass pools act as a natural insulator, requiring less electric/gas to heat the pool. Algae is less prone to attach to the smooth surface of a fiberglass pool, requiring less chemicals and maintenance. In fact, estimated maintenance costs over 10 years is less than one quarter of the cost for a gunite pool. Fiberglass Pool Pros – Quick and simple installation. Variety of shapes and styles. Smooth finish means no skin abrasions. 17 times stronger than concrete. Non-porous surface resists the problems associated with imbalanced water chemistry, requiring less chemical maintenance, labor, and electric and is algae resistant. 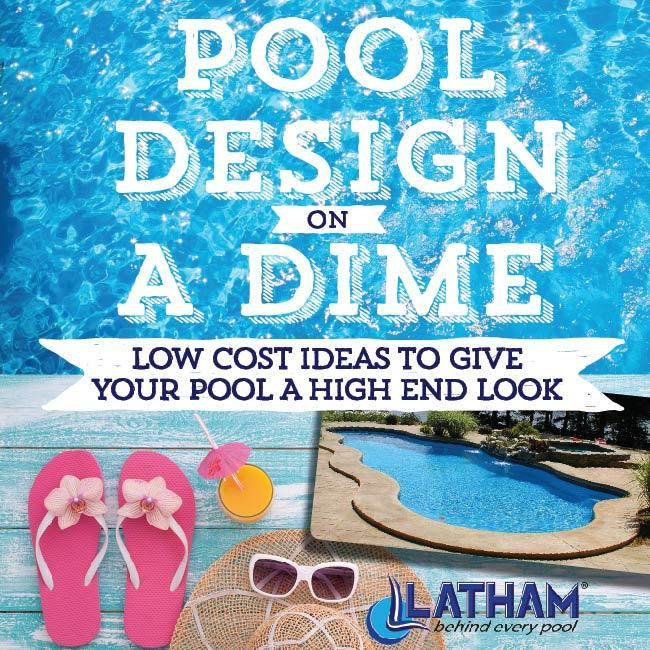 Fiberglass Pool Cons – Higher cost than vinyl liner pools. Also known as packaged pools, these consist of components, including wall panels, braces, steps and a vinyl liner, that are assembled together to create a swimming pool. These types of pools are typically "engineered," meaning they are designed and produced to predefined standards in a controlled factory environment. All components are designed to fit together. The two most popular materials for the wall panels, braces and steps are steel and polymer. Steel packaged swimming pools are generally less expensive than polymer swimming pools; although, other factors, such as decking and extra accessories, can add to the overall cost. They make all surfaces of your pool smooth to the touch. They cannot crack like a concrete pool and never need repainting or replastering. Vinyl Liner Pool Pros – Easy to maintain; less expensive; variety of liner patterns available and soft to the touch; engineered to standards; repairs are typically quick and inexpensive; many shapes and design options available. Vinyl Liner Pool Cons – Liner eventually needs to be replaced. Gunite or concrete swimming pools are often used in commercial applications, such as hotel swimming pools. Gunite pools are not recommended for areas with cold weather seasons, because freezing-thawing cycles can cause cracks that require acid washing and replastering. Installation of a gunite swimming pool can take several months. It is the most expensive type of pool to install and maintain: monthly pool service is required, as is excessive use of chemicals and electricity. Estimated maintenance cost over 10 years is over $16,000. Gunite Pool Pros – Flexibility of design options; high-end look. Gunite Pool Cons – Textured surfaces can be uncomfortable and abrasive; typically most expensive type of pool; lengthy construction time; very expensive to repair; surface can attract algae and bacteria, and can discolor.